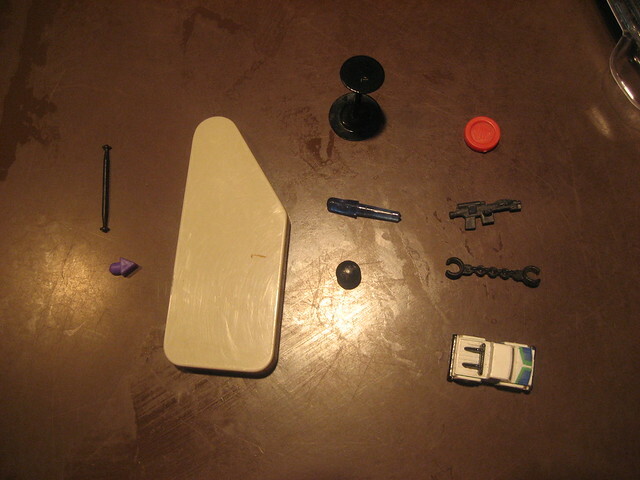 whenever I go home, my Mom lays out all the lost + broken pieces from old toys she finds around the house and me + J have to guess where they came from... | Flickr - Photo Sharing! I'm actually the house champion of IDing found objects. Try your best - I'll post answers after lunch. So this means you still play with your old toys? How else would their parts get distributed around the house these days..
ahhh - i miss the lightbright.